If you cleansed with us this past week on #CleanseDayWednesday, go ahead and give yourself a pat on the back, some double thumbs-up, or a fist pump if you’re feeling especially proud (as you should)! Your commitment to ultimate health and wellness is abundantly clear, and we want to acknowledge you and your incredible efforts toward transforming your life and the Cleanse* With Friends movement! Don’t forget that we are on this journey with all of you. If you start to feel like you’re headed toward a plateau, remember that all of us here at the corporate office are cleansing* every week, too. We’re in this together, so let’s keep the chain of accountability unbreakably strong! Choose a busy day – By cleansing on a busy day that is packed with meetings, you won’t have time to think about what you’re not eating. Enjoy an e+™ caffeine shot – These are a must-have on any Cleanse* Day! Isagenix Snacks™ and IsaDelight® chocolates – Don’t forget your Isagenix Snacks and IsaDelight chocolates. They’re all Cleanse* Day-approved! Exercising on Cleanse* Days – Cleanse days are a great day to focus on flexibility and rest. Choose a relaxing, simplistic workout alternative for Cleanse* Days. 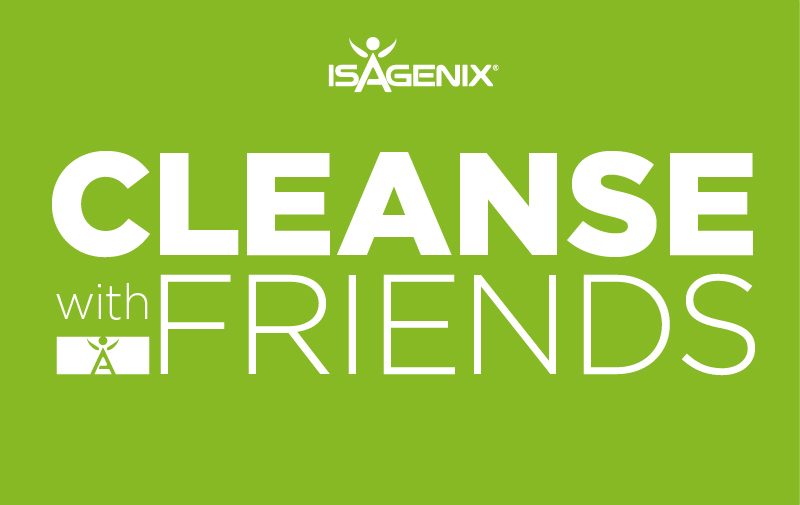 Cleanse* with Friends – It’s a team affair! Find a Cleanse* Day partner so that you have someone to hold you accountable. Afternoon e+ – Have your e+ in the afternoon to help power through the remainder of the day. It’s a great midday pick-me-up. Stay hydrated – Make sure to stay hydrated every single day, not just on Cleanse* Days! Join us on the next #CleanseDayWednesday, and keep up with us on Facebook and Instagram each week. *A Cleanse Day is a nutritionally supported fast that nourishes and energises your body’s own detoxification systems. For further Cleanse Day information, visit https://www.isagenix.com/en-gb.